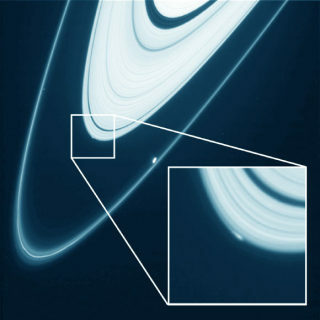 For the first time ever, scientists are witnessing the formation of a new moon as it forms within Saturn’s outer rings. According to a recent report, NASA’s Cassini spacecraft recently discovered this icy formation, currently being called “Peggy,” on April 15th as it disturbed the smooth lines of the ring system. But will it grow any larger, leave the ring system, or will it fizzle out and break apart? These photos were shot in south Baton Rouge on Tuesday morning at 2:45 am. 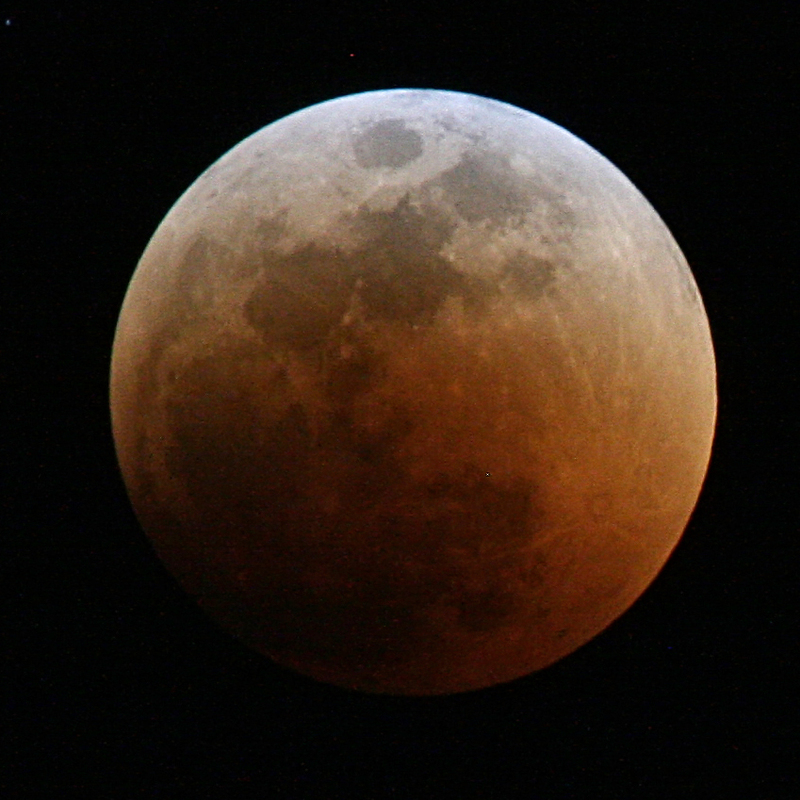 This eclipse marked the beginning of a tetrad, a series of four total lunar eclipses in a row. The next three total eclipses will be occurring on Oct. 8, 2014, April 4, 2015, and the final occurring on Sept. 28, 2015. 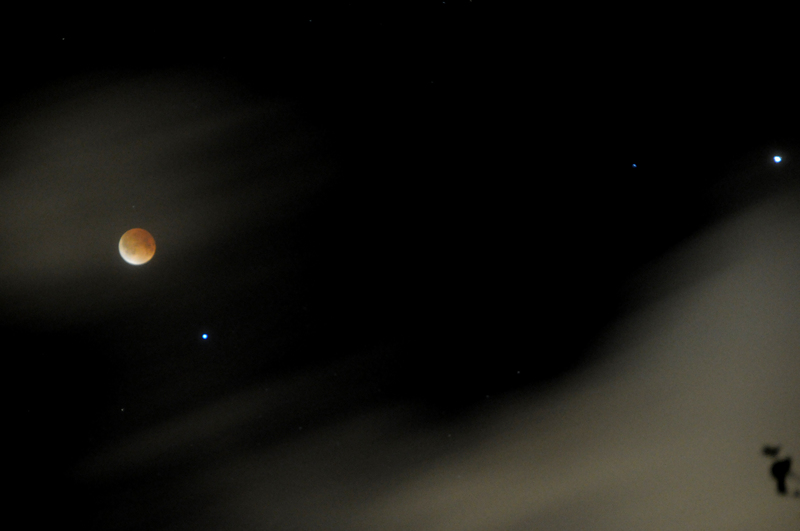 The ‘ghosting’ is the rapid movement of the clouds during a 2 second exposure. 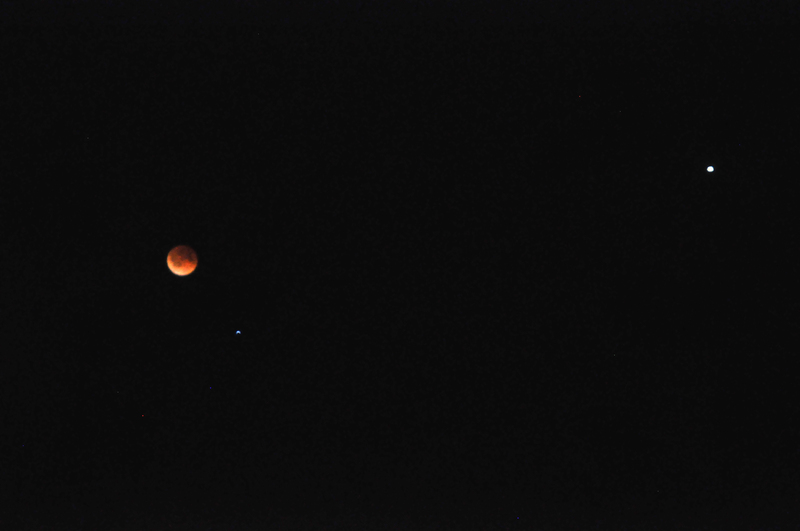 Below the moon is Spica, in the constellation Virgo, and Mars is further west(right) in the shots. 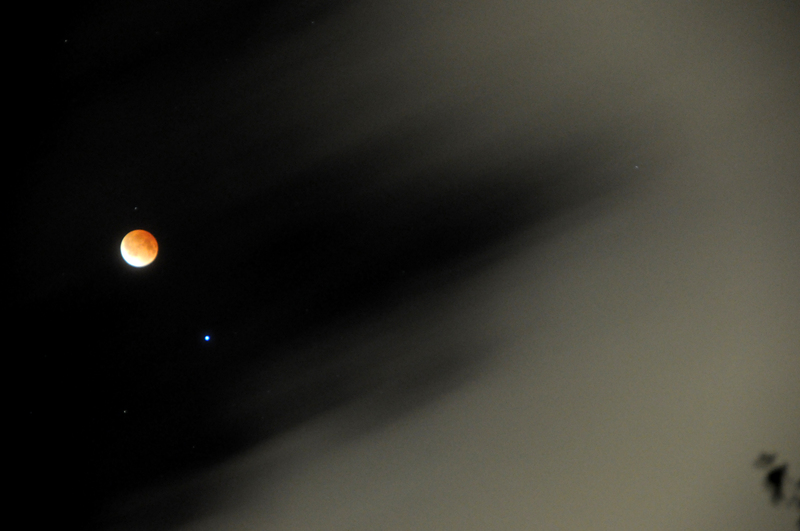 I expect to have better photos after the next eclipse… weather permitting. Ha. NASA’s International Space Station resupply mission includes the legs for Robonaut, OPALS Lasercomm experiment and much more. I think, however, the most exciting and dramatic portion of the flight is the possible test of the ‘Grasshopper’ reusablility system. Read the detailed story of the SpaceX Grasshopper program. The launch will be webcast live, with commentary from SpaceX corporate headquarters in Hawthorne, CT at spacex.com/webcast and NASA’s Kennedy Space Center at www.nasa.gov/nasatv. For a detailed description of the mission timeline, overview and SpaceX go to the SpaceX press kit. This is a wonderful resource. Tonight you might go out and see an extra bright orange dot in the sky. Well, that’s not a star you’re seeing, that’s Mars.